What are these tiny bugs flying around in your house over your fruits and plants, so exasperating that you would do anything to see them gone? And what can you do to exterminate them forever? Preferably using natural remedies for that. As tiny as they are these tiny flies called gnats are hugely annoying. 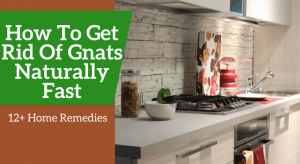 How to get rid of gnats using natural remedies? Simple ingredients from your kitchen, essential oils, and other natural remedies can kill and deter these pesky tiny bugs forever from your house. Keep reading to find out how. Fruit flies are red-brownish and red eyes. They like fruits, especially decaying ones, and also other rotten, sour-sweet food. Drain gnats resemble a tiny moth, with their fuzzy body and leaf-shaped wings (that’s why they are also called “the moth fly”). They like moisture, so you will find them in your kitchen, bathroom, or basement. As their name says, these gnats lay their eggs inside the sink drain and the future larvae will eat the bacteria from the organic matter. Gross, I know. Fungus gnats are black with long thin legs and wings. When you see tiny flies flying around the moist soil of your plants, know that those are fungus gnats. It seems obvious that if you take a couple of simple preventive steps in advance, you will give no reasons to fruit flies to appear. Throw away food before it turns bad on your table or shelves. Wash the dirty dishes immediately after you’ve been eating, don’t let them sit in the kitchen for days. Put the food in the fridge or covered containers. Take the garbage out regularly. Have a lit or cover on the garbage bin in the kitchen. Wash the fruits and veggies before you store them, to eliminate any potential fruit flies eggs or larvae that might be on them. Clean your sink drain regularly, to not let gunk gather in it and form disgusting bacteria over time. Don’t overwater your indoor plants. Let’s go after those pesky drain gnats. And for that, we will go directly to their nest – the drain. This is an inexpensive home remedy for gnats. Add 3-5 tablespoons of Baking soda in the drain, then add 1 cup of cheap vinegar over it. These ingredients will react with each other (you’ll see a nice fizz) and will dissolve all clogs and nasty stuff inside the drain. Let it work for 20 minutes or more, then pour cold water to flush away the dissolved dirt and the gnats cemetery. 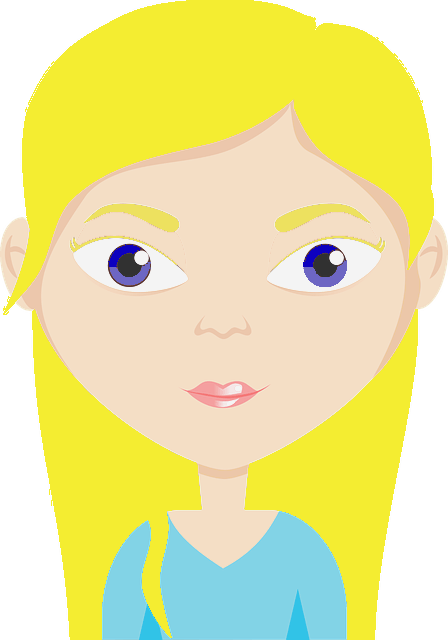 Does apple cider vinegar kill gnats? Well, if they drown in it, yes. Lure fruit flies with apple cider vinegar and sugar. Then kill them with the secret ingredient from your kitchen, a natural way to get rid of gnats (soap). Mix all liquid ingredients in a bowl. How does it work? The fruit flies will be naturally attracted to the smell of vinegar so they will approach the sweet-sour water surface, only to face their death as the soap will cling to their feet and wings, making them unable to fly. So, they will drown. It’s such an easy way to get rid of gnats. You can use this trap for all types of gnats. For the fungus gnats, place the vinegar bowl next to the plants. Would You Like Some Wine, Gnats? Serve those pesky fruit gnats wine. You don’t need to open a bottle of Chardonnay for that, any cheap wine will do. Yes, they will love it. But they will not know that you also added some liquid soap in it, so as soon as they will touch the wine’s surface, they will get soapy and won’t be able to fly away from there and escape the delicious (sigh) trap. At least, they died a sweet death and had one last delicious sip of wine. Another tricky sweet trap for gnats is made of strips of colored paper and honey. Cut colored paper (green, red, yellow) in long strips and then smear honey on each of them. Gnats will be attracted by honey (and the vivid colors) and they will remain trapped in the honey. It can be used for fruit flies and plant gnats, too. For the latter, place the sticky traps directly on the soil (honey-side up). Honey traps are an inexpensive home remedy for getting rid of gnats. If you don’t want to kill the gnats, then use this inexpensive kind trap. Wonder how to remove gnats from your house without killing them? Put pieces of rotten fruits (like overripe banana) inside a bowl and cover it with a thin plastic wrap for food. Make sure the plastic wrap clings to the bowl. With a toothpick, punch holes into it, allowing fruit gnats to enter. But once they go inside, they can’t find their way back. When enough fruit gnats have been trapped inside the container, underneath the plastic wrap, take the bowl outside, far away from your house and unwrap the bowl, setting the gnats free. Hurray! Fly, gnats, fly! Never overwater your indoor plants, that’s a sure recipe to get gnats. If you already did that and you have gnats flying around your plants, let the soil dry well before adding water again. Even if your plant will look unhappy during this period, you will get rid of gnats. The plant will be happy once you water it again, regularly, adding only small amounts. Or, if there are too many gnats, change the soil completely and discard the infested soil (with eggs and larvae). Wash and disinfect the pot before you add the new soil in it. From now on, let the surface of the soil dry and then water the plant. Cinnamon has antibacterial, antifungal, antimicrobial, and insecticide properties. Spread cinnamon powder on the soil that has been infested with fungus gnats. It’s an all-natural way to kill gnats. Mix all ingredients in a spray bottle, shake, and spray the gnats. You can use aromatherapy against gnats, too. Add a couple of drops of these essential oils in a candle burner or an essential oil room diffuser. It should kill the gnats in the air. Cedar oil is known for its insecticide properties, and it also smells nice. How to keep gnats away indoor? Use natural citronella candles inside to prevent them from coming inside. Use lemon and lemongrass oil for fungus gnats. Simply rub the edge (lip) of the pot with diluted essential oil and this will repel the tiny insects. Plus, it will smell very nice in your house. Should I also mentioned than citrusy essential oils have aromatherapy effects on you, too, as they uplift the mood, boost the immune system, and improve focus and concentration? Mix 10 drops of neem oil in 1 cup water and spray the soil of the indoor plants that have been affected by gnats. Neem oil is a natural insecticide that inhibits the reproductive system of gnats and the growth of larvae, and it is safe for the plants. See, it’s very easy and simple to get rid of gnats using natural remedies. No complicated science or toxic chemicals involved. Now you know how to get rid of gnats naturally and fast and you also have preventive measures to never see them return. How do you get rid of gnats in your house? Share with us in the comments below.